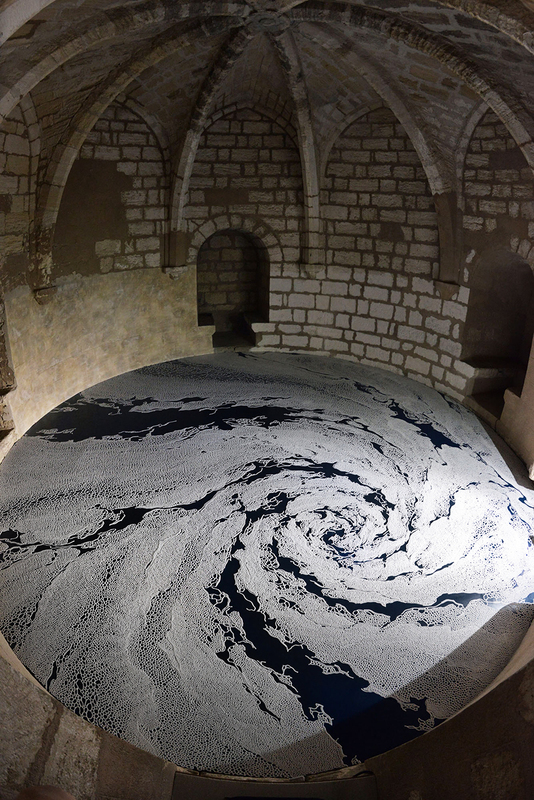 Gazing down at foamy-looking swirls of white on black from a niche in an ancient castle, you almost feel as if you’re an astronaut watching a hurricane form above the ocean on the distant Earth. These cellular arrangements form tentacular appendages of varying opacity, meeting in the center to create a vortex effect. They are, in fact, made of salt, with each grain symbolizing a memory or a moment in time. 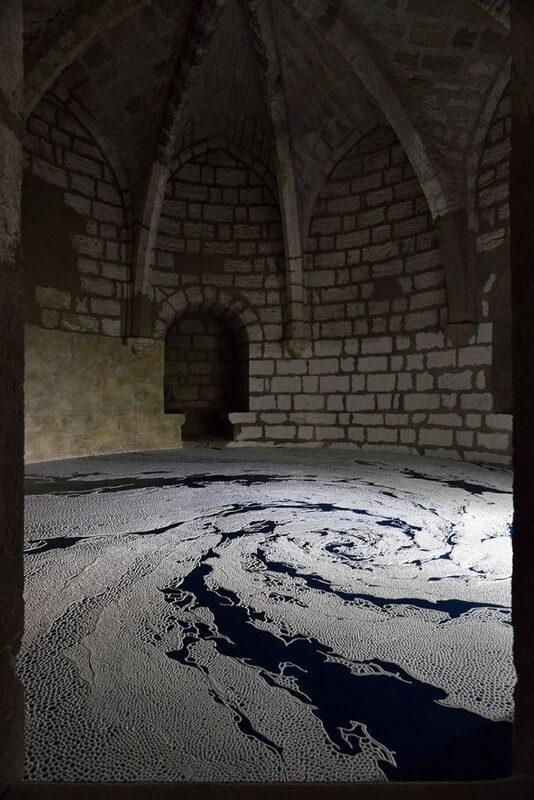 Artist Motoi Yamamoto installed ‘Floating Garden’ and ‘Labyrinth’ within the castle tower at Aigues-Mortes in Southern France for an exhibition called ‘Univers’ Sel,’ on display through the end of November. The hurricane-like swirl of ‘Floating Garden’ is a motif commonly used to represent life, death, resurrection and rebirth in East Asia. 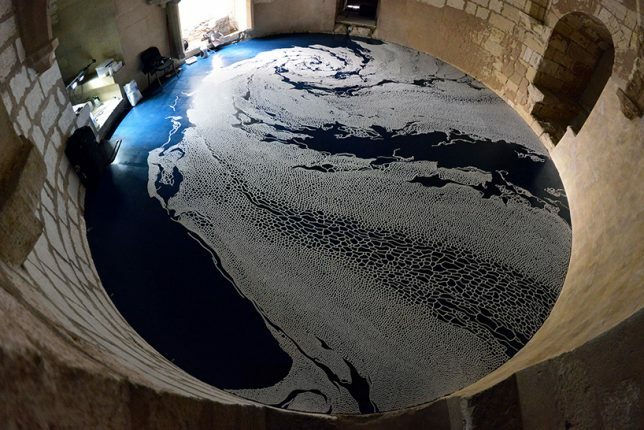 To create it, Yamamoto started in the center of the black-floored space, shaking a container of salt in a calculated rhythm to produce just the right pattern, working for 45 hours over 5 days. Within the ramparts, a labyrinth unfolds. 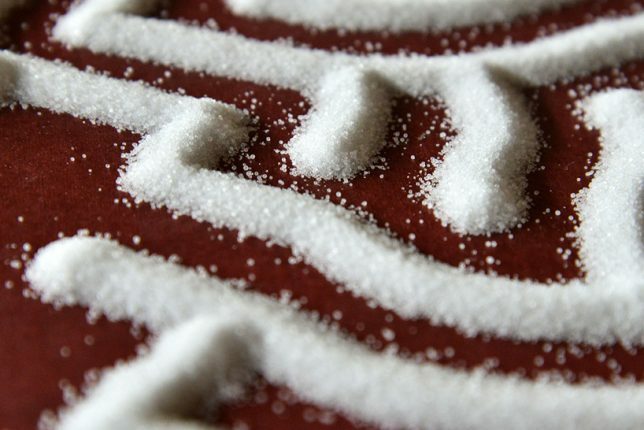 Would you be able to wind your way from the outer edges of the pattern to the piles of salt that lie at the end? 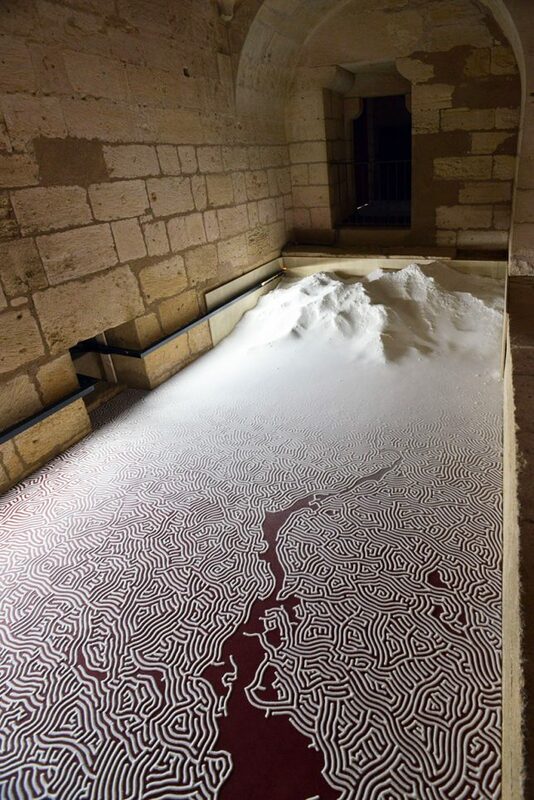 You’ll never find out, because to attempt it would mean destroying the work, with its intricately placed salt lines sensitive to the slightest movement. 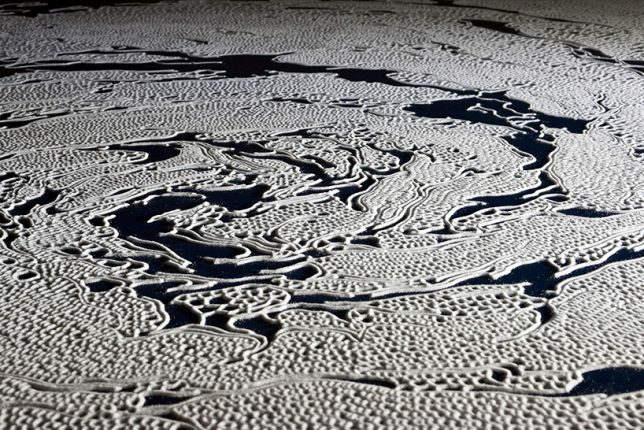 Like the sand mandalas of Tibetan monks, these salt sculptures are meant to exist temporarily, as vulnerable and ephemeral as human bodies moving through the hazardous world. Both pieces are a continuation of series of the same names. 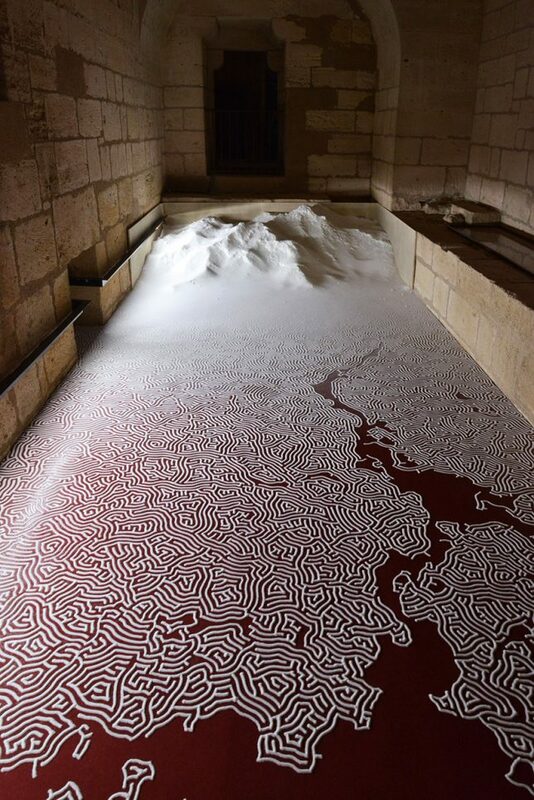 The artist began working with salt as a medium after the loss of his sister to brain cancer at 24 years old, in rumination on time, transcendence and the notion of death. The salt structures act as an interstitial medium between our time and space within our physical world and whatever mysteries lie beyond.